The term "culture" has become ubiquitous in both academic and popular conversations, but its usefulness is a point of dispute. Taking the current shift from cultural studies to aesthetics as the latest form of this discussion, Eric Aronoff contends that in American modernism, the concepts of culture and of aesthetics have always been inseparable. The modernist concept of culture, he argues, arose out of an interdisciplinary dialogue about value, meaning, and form among social critics, artists, anthropologists, and literary critics, including figures as diverse as Van Wyck Brooks, Edward Sapir, Willa Cather, Lewis Mumford, John Crowe Ransom, Raymond Weaver, and Allen Tate. These figures proposed new ways to conceive of culture that intertwined theories of aesthetic and literary value with theories of national, racial, and regional identity. 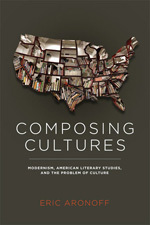 Through close readings, Aronoff shows that disciplines and approaches that are often thought of as opposed—cultural anthropology and aesthetics, American literary history and literary criticism, and multiculturalism and regionalism—are in fact engaged in common debate and proceed from shared arguments about culture and form.